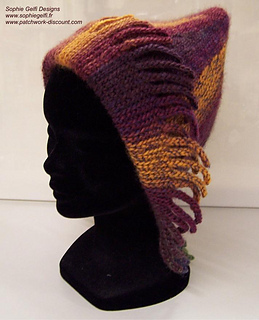 This fancy hat use short rows and slip stitches. It looks a biot as garter stitch but itsn’t. 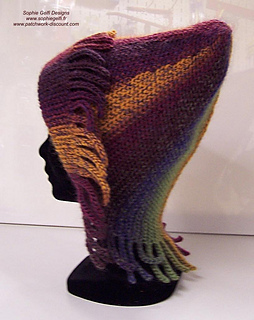 It’s fun and fast to crochet and it makes people happy when they see you wearing it ! Patterns include charts and instructions. 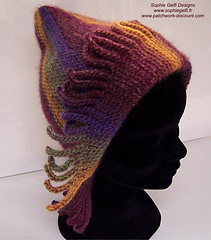 You can use any self striped yarn that fits with 4,5 or 5mm crochet. My other pattern Sunset pelerina match with it.